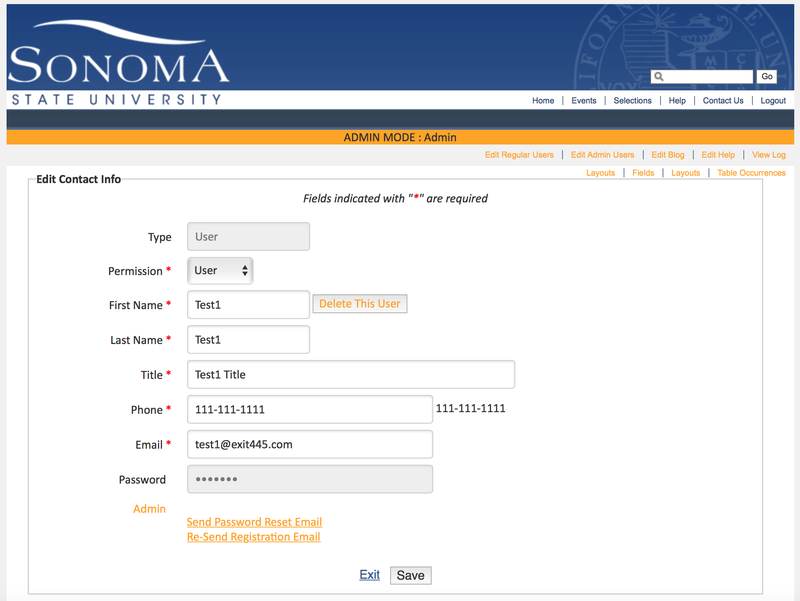 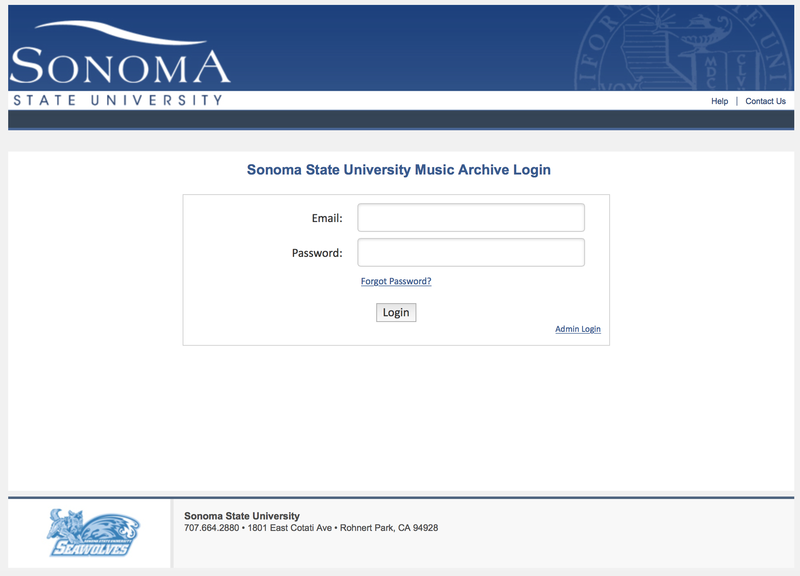 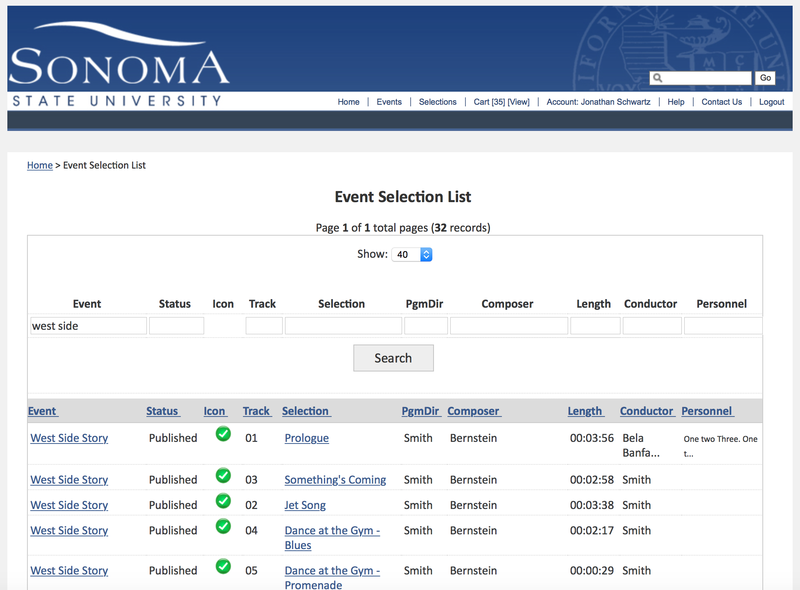 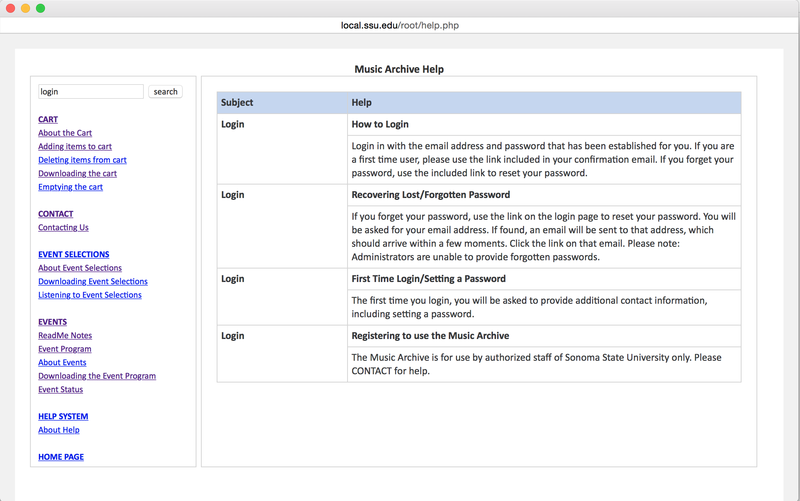 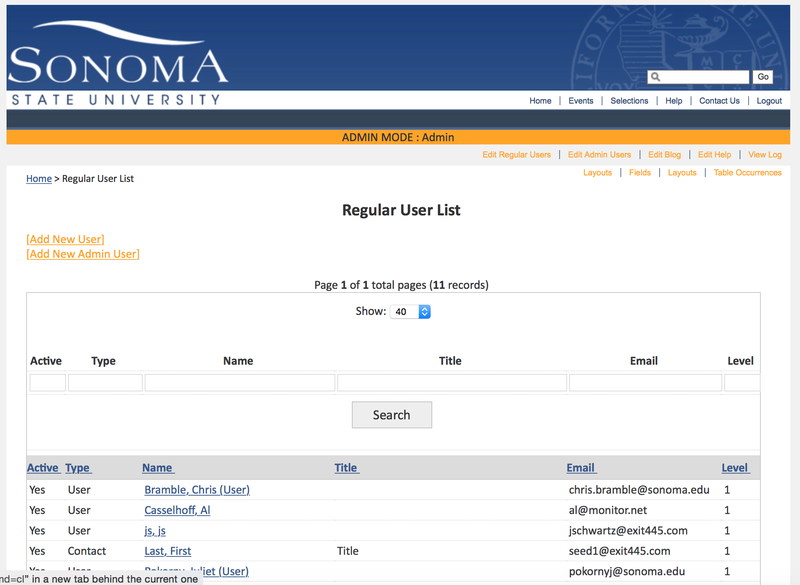 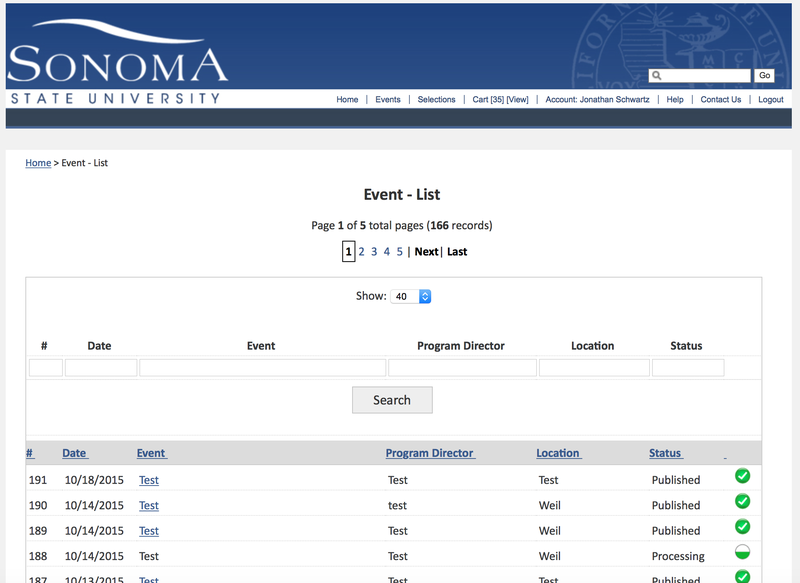 Sonoma State University, Sonoma, CA — The Performing Arts Department of Sonoma State University sought a way to improve the delivery of concert audio recordings to staff and students who requested them. 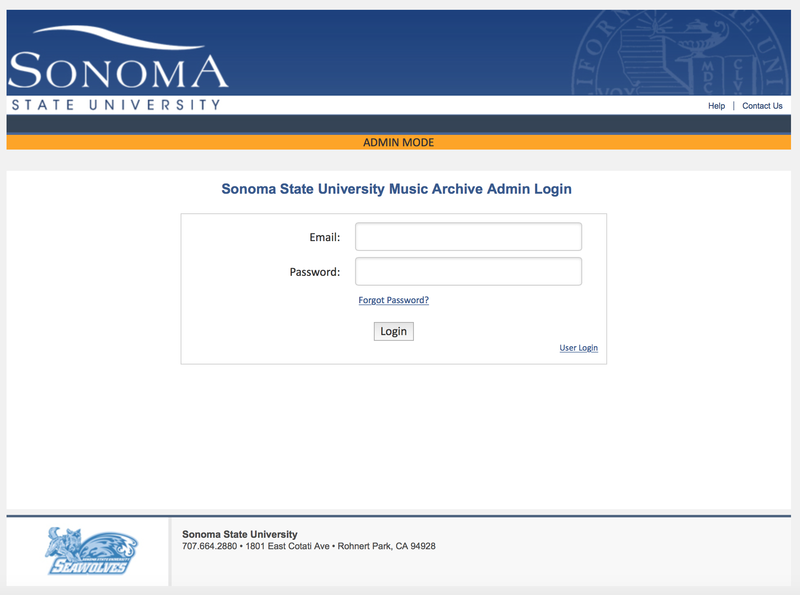 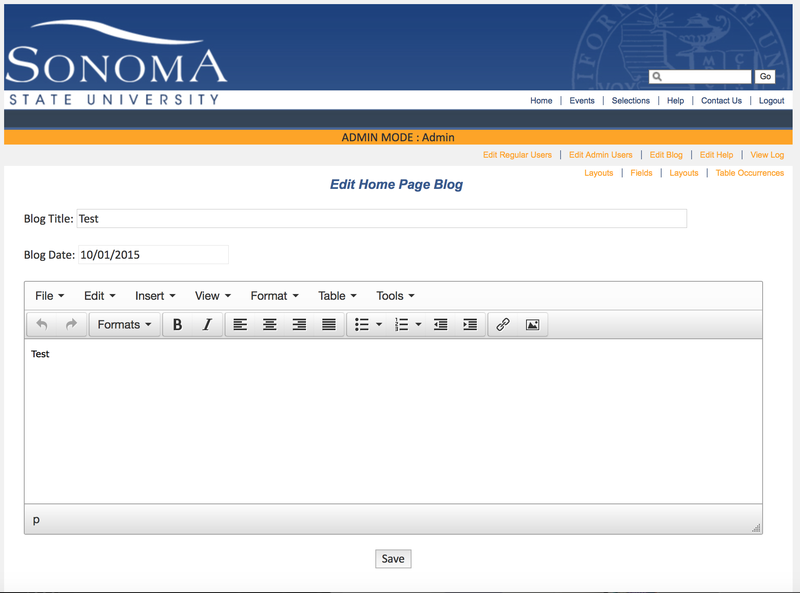 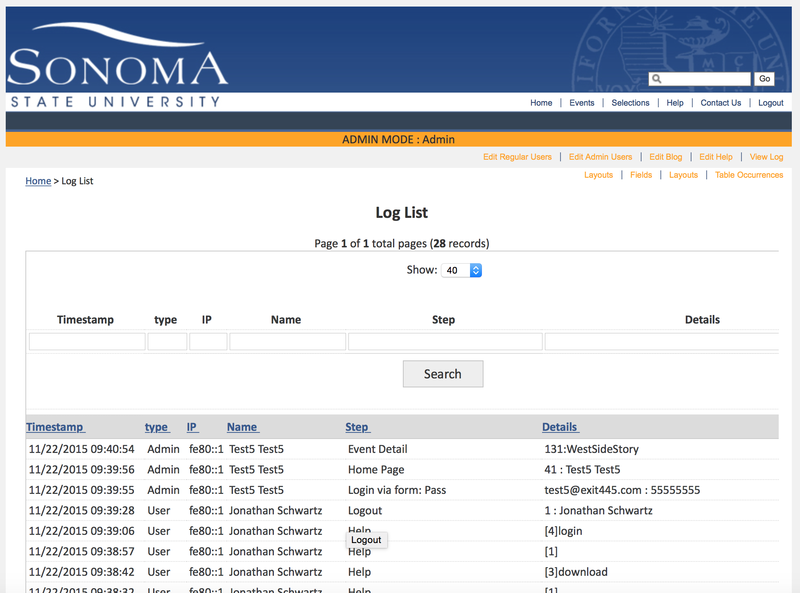 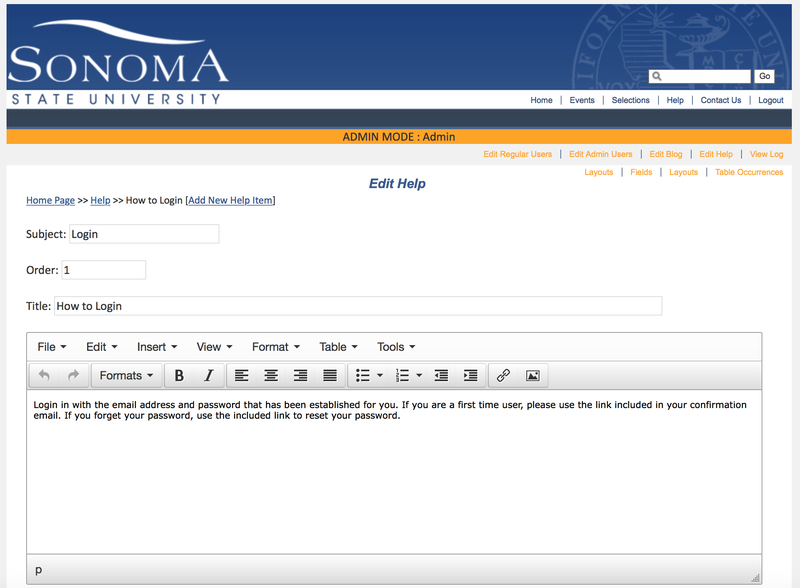 The existing system involved manually locating CD-ROMs, duplicating and sending them via campus mail. 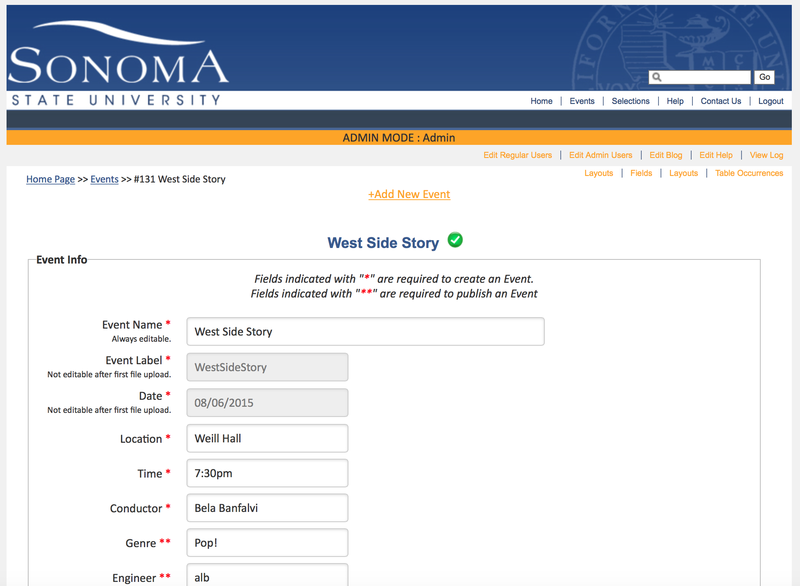 The turnaround time was often measured in weeks, depending on demand and staffing. 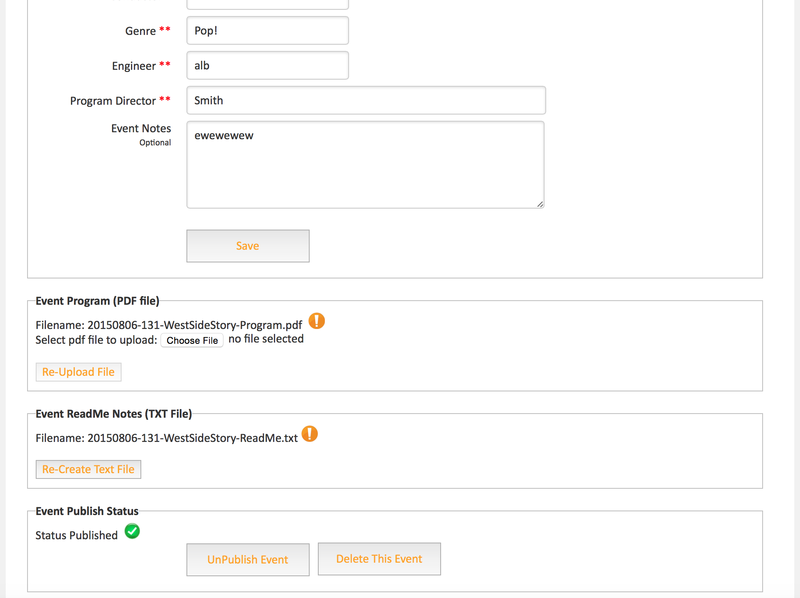 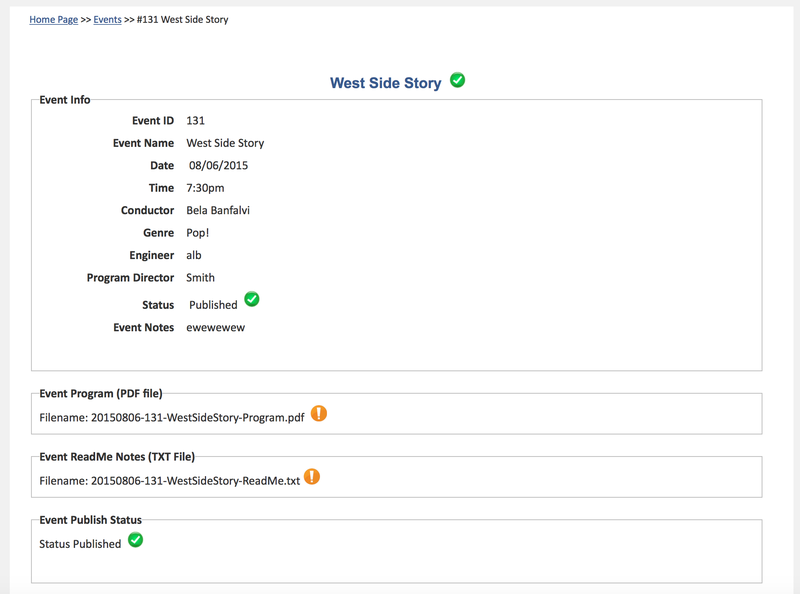 Exit 445 designed and built a 100% web-based system, with FileMaker as the back end, that allows audio engineers to create online events and populate the events with audio files and program notes. 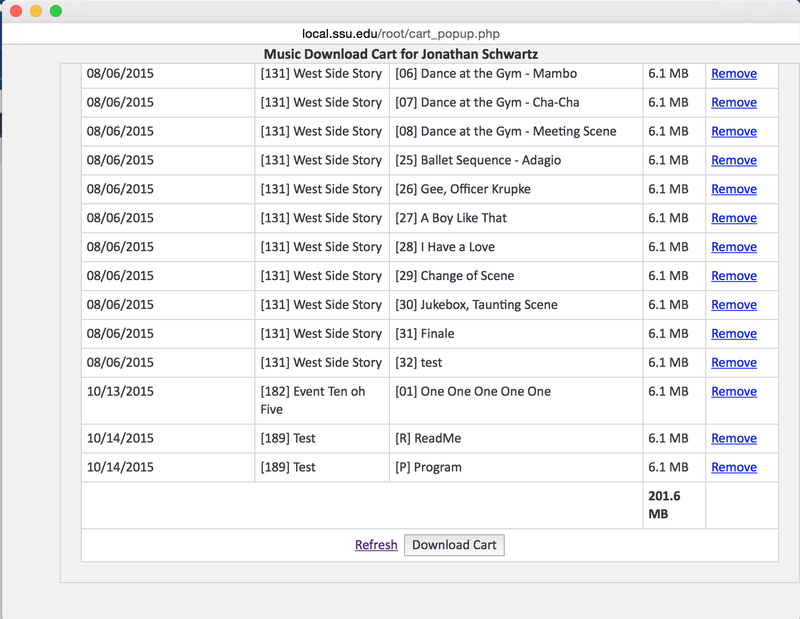 Separately, we added a front-end that allows end users to login, search the music events, listen to audio tracks, put audio tracks into a shopping cart and then download the desired audio. 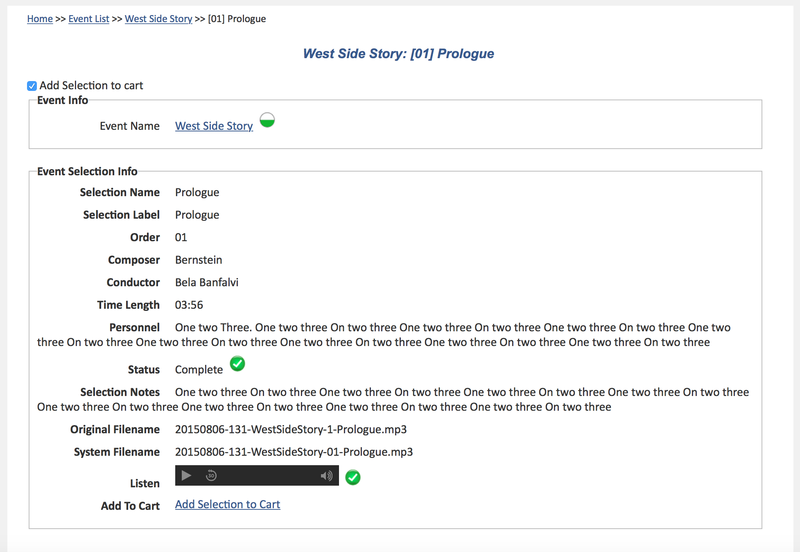 The turnaround time of delivering audio files went from weeks to minutes and eliminated staff from to manually process requests. 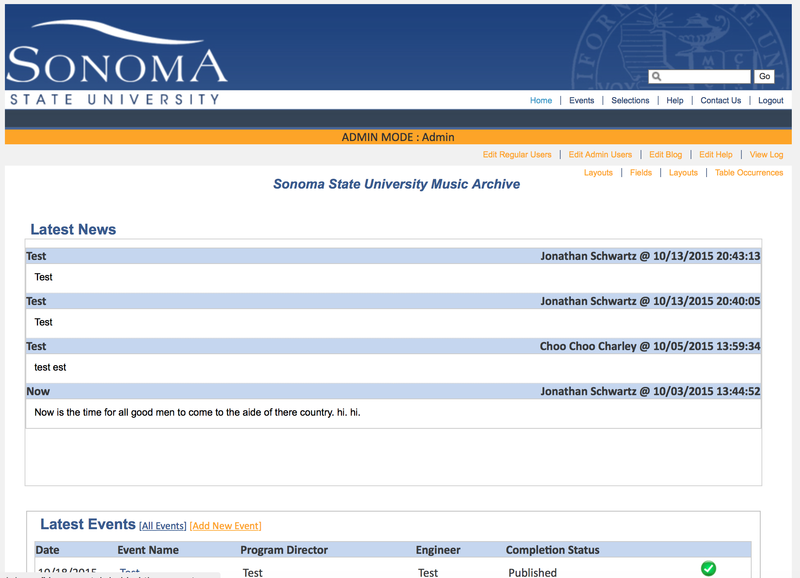 "We are thrilled with the new Music Archive! 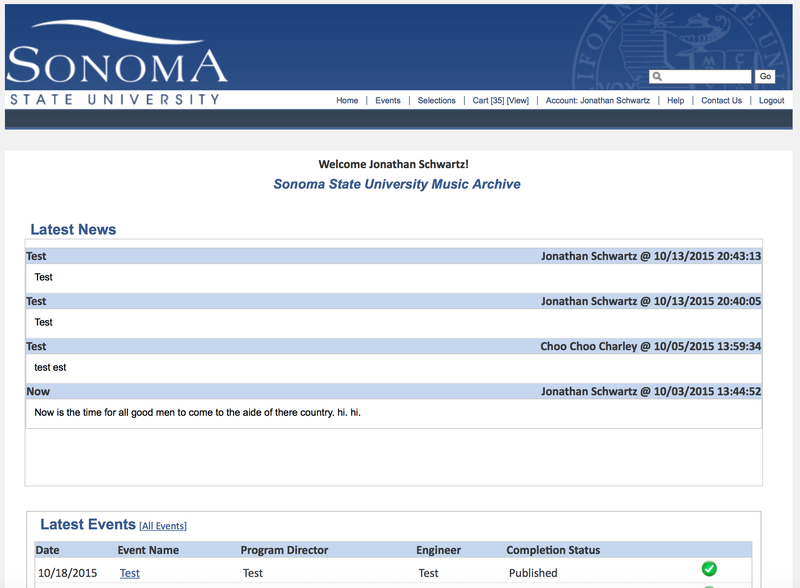 This had been on my list for years!"